If you are not using that salad spinner at the back of the kitchen press any more, bring it in to school to make a great piece of visual art. 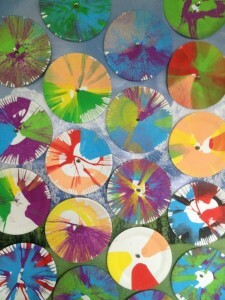 All you need to create this effective piece of art is the salad spinner, paper plates and paint, it’s that easy. This visual arts lesson could be done with any age group.